(Bloomberg) — Quay House in London’s Canary Wharf is a two-story glass box nestled among some of the tallest buildings in Europe. Its latest owners have grand plans, potentially transforming it into a hotel closer in height to its 600-foot neighbors. The property is the first acquisition from FirethornTrust, a firm backed by two billionaire American families: the Van Tuyls, who made their fortune in auto dealerships, and the Stephens clan behind the eponymous investment bank. They’re defying predictions that Britain’s 2016 decision to exit the European Union will gut the country’s finance industry and cripple the economy. While the pound has slumped 11 percent since the eve of the referendum, the slowdown hasn’t been as dramatic as the initial tumult that followed the vote. Yet ominous signs abound. Investors in a Schroders Plc fund that owns some of London’s priciest offices are seeking to withdraw almost one-fifth of the $1.09 billion pool, according to people familiar with the matter. Standard & Poor’s warned last month that the chances of a no-deal Brexit have increased, risking recession. The Stephenses and Van Tuyls invested 200 million pounds ($263 million) to start the London-based trust in September. Americans aren’t the only ones planning to take advantage of Brexit-induced real estate opportunities. Earlier this year, Israel’s Alony Hetz Properties & Investments Ltd. agreed to invest as much as 340 million pounds to start Brockton Everlast, which will acquire and develop offices in the U.K.
Brexit can give us a window of opportunity to step in “where other people are totally afraid and want to abandon,” said Moti Barzilay, executive vice president at Alony Hetz, which is controlled by Chief Executive Officer Nathan Hetz and David Wertheim, who also owns the Israeli Coca-Cola franchise along with his sister, Drorit. Foreign investors are scooping up more London office real estate, comprising 74 percent of the market as of Aug. 28, from 67 percent at the end of 2016, according to Green Street Advisors. North American investors have accounted for 15 percent of total transactions so far this year, compared with 10 percent in 2017 and 25 percent in 2016. Half of all investments have come from Asia in 2018, following a 2017 spree that saw some of London’s most iconic buildings change hands. In March of last year, Cheung Chung-kiu’s C C Land Holdings Ltd. paid 1.15 billion pounds for one of London’s tallest towers, the Leadenhall Building, commonly known as the Cheesegrater. Four months later, the property arm of oyster-sauce maker Lee Kum Kee bought the Walkie Talkie building for 1.3 billion pounds. 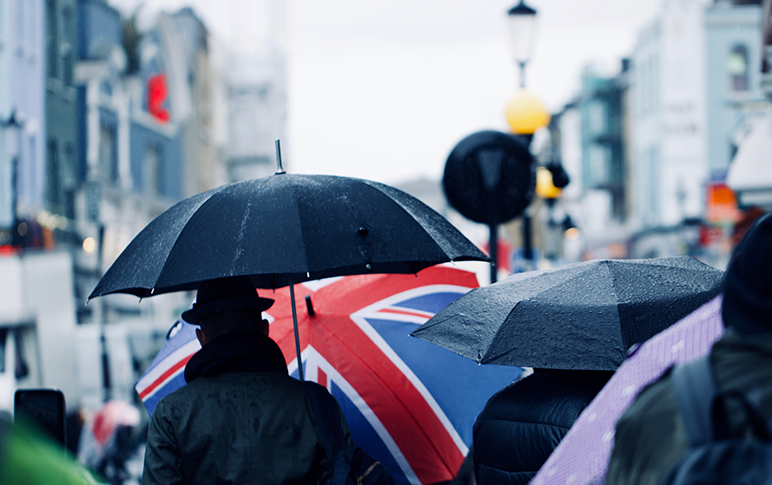 While Brockton Everlast and FirethornTrust are looking for bargains in a messy market, chaos isn’t what’s driving most foreign investment in London real estate, said Rasheed Hassan, director of cross-border investment at Savills Plc. “The currency is cheap and there’s always a big pull to London,” he said. Pound weakness may not last long if there’s a deal for a smooth exit from the EU. Aberdeen Standard Investments is betting sterling could climb to $1.50, a 15 percent gain from its current level, within three months of a deal. Hassan though acknowledged S&P’s warning of a recession if the U.K. fails to reach a Brexit deal with the EU, in which case there may be chaos across all markets, real estate included. Such a prospect excites FirethornTrust’s Mather.